Before we delve into why Google bans your AdSense account, we’ll first take a gander at what AdSense actually is. AdSense is yet another advertising platform offered by Google for publishers wanting to display certain targeted text, video or image based ads on web pages. How is AdSense different from AdWords you ask? Google AdWords will offer up your advertisement upon relevant search results, pages/networks. AdSense offers up AdWords advertisements up on websites, Google is responsible for managing and controlling the ad. The website publisher then gets paid by Google for every click of the ad advertised on his/her site as the medium. 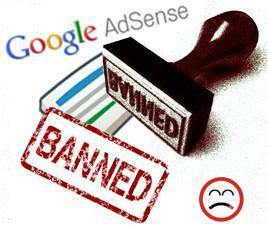 AdSense further equips you with a set of nifty features like Ad blocking and a custom on site search engine. The cost of setting up an AdSense account is absolutely free, sound surreal enough? 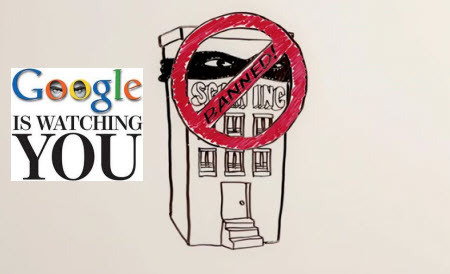 Well it actually is, that is why Google has devised a strict plan of action to nullify the exploitation involved with AdSense. To extract illicit profit, certain websites indulge in malpractices (A big ‘No No’) whether advertently or inadvertently the cause is unknown. 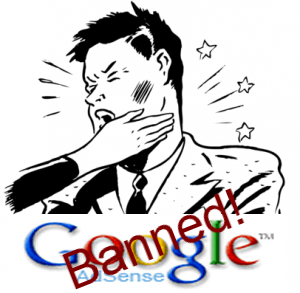 But here are a couple of pointers to enlighten you on the big “don’ts” of AdSense. this is when a certain group is created to click in packs for sweeping in the PPC points and by default ripping off Google. Such thievery will again march you straight up the door of the, you guessed it, Banned United. 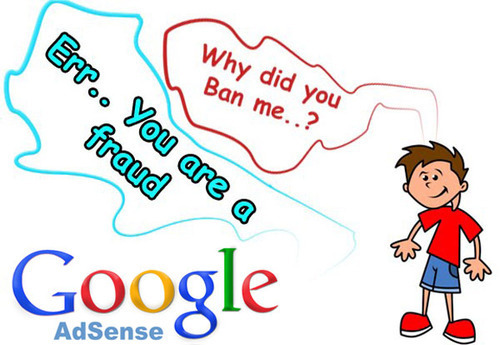 Some circulate the AdSense Ads via email which tends to create a stir sometimes, not such a wise step to take as it is against Google’s program policies. Deploying beckoning messages like “click here for this” “click here for that” and pop up scripts prompting users to click on for the content is strictly off limits. No matter what the source of the motivation may be, do not alter or fabricate any of the coding; you will be irrevocably led to Permanent expulsion to the sacrilegious land of The Banned United. 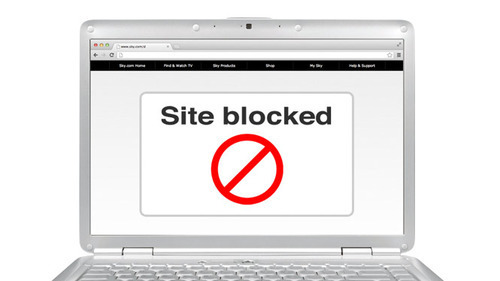 No linking to sites offering pirated content, Pornographic content, racial and violent content, pages distributing drugs are strictly forbidden for AdSense sites. Use of automated click tools to bolster the click through rates of your site is, by now you must’ve guessed it, strictly forbidden. So if you’ve got your hands on this fool-proof top of the line automated tool someone told you was impervious of being detected, might want to throw it in the bin because sooner or later Google will know of your transgressions. Blind writing to generate keywords, or blind construction of cotent just for the heck of it is also frowned upon. Every page constructed should be content driven and not just constructed with the purpose of being a hanging Ad. As the title itself explains, paying to redirect traffic to your page is another malpractice which will usher you into the halls of Banned United. 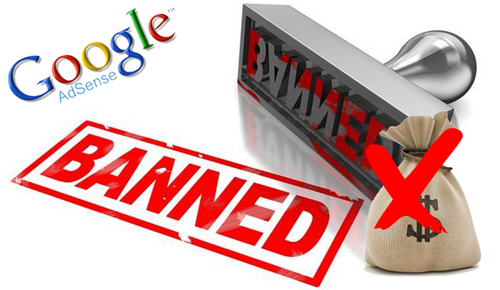 So traffic from the AdWords pay per click is strictly forbidden to be merged with AdSense. There may be several other ways of deluding yourself to believe you can dupe the system. But the most important rule of all is to be fair in your practices. Like its predecessors; Project Butter in Jellybean and Project Svelte in Kitkat, Project Volta is yet another “project” running at the heart of Android Lollipop. 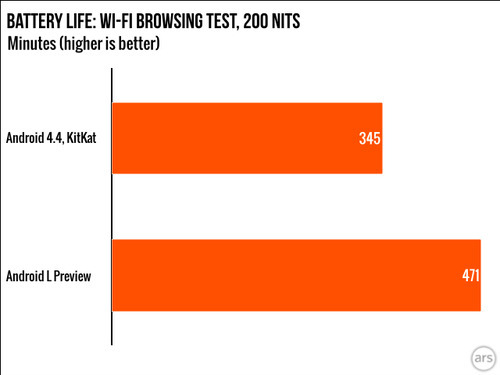 Project Volta aims at picking up the issue which plagues all smart-phone users, which is; battery life. Every Android update seems to have its own project aimed at fortifying the update with added stability and enhancements. Android 5.0/ Lollipop, previously code-named ‘Android L,‘comes reloaded with Google’s initiative known as Project Volta. Project Volta primarily aims at improving battery life, and to achieve such a noble task Google certainly has measured up in terms of delivering effectively. Google estimated that for every menial task, waking your phone for one second to see notifications; burns about two minutes of standby time. 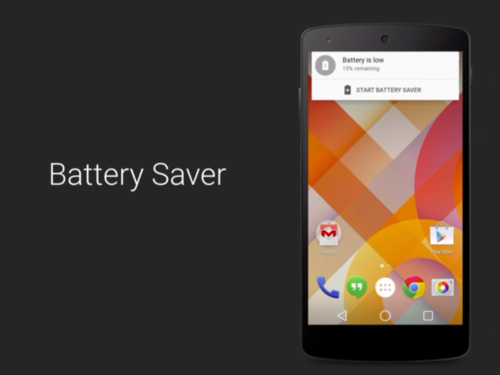 Google ventured to the very granular depths to minimize battery wastage. 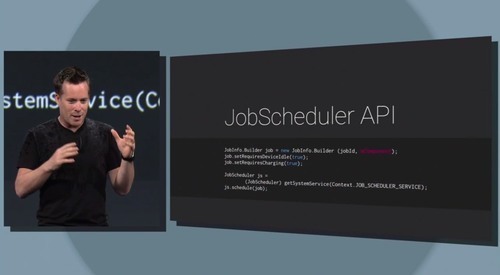 “Job Scheduler” is a promising feature which stockpiles unnecessary app requests and has an option to perform battery consuming activities while being plugged in. The two most prominent features that pop out are undoubtedly the “Battery Historian” and the revamped “Battery saver” mode. Project Volta is a concise name given for an array of improvements such as better optimization of battery life, display, power saving mode et all. Battery Historian displays a very accurate representation of what drains the life out of your battery, it is a revamped/advanced power tracking system which gives you a meticulous representation of all the juice consuming activities through a nifty chart. Battery saver, as the name suggests, endeavors to save a lot of juice on your phone by taking up relentless “house cleaning” duties. This housekeeping includes shutting down of unnecessary battery draining tasks, minimizing refresh rates, slowing down the CPU, killing off background apps and data. 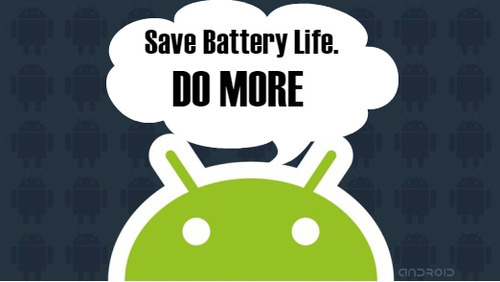 Google estimates that, if used for the entire duration of a day, Battery Saver can effectively extend your battery by 90%; sounds extremely impressive if it is true. Now that’s a pretty relentless test. The test run(and the image above), courtesy of Arstechnica, puts the Android L through its paces and stands as a testament to all that Google has promised. 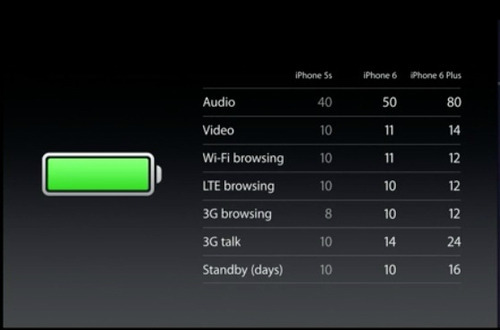 Stats given above show the battery life is extended by 36% without breaking a sweat. This further affirms Google’s promise of a considerable increase in run time. These tests were run on a Nexus 5. With the update being recently introduced to the world, the stats may vary from phone to phone, but the fact that battery life improves will certainly be undisputed. The Nexus 6 should reveal a full optimized and integrated feel of Project Volta, with the lollipop update being rolled out to more devices every week, the effect of Project Volta will certainly be there to see. 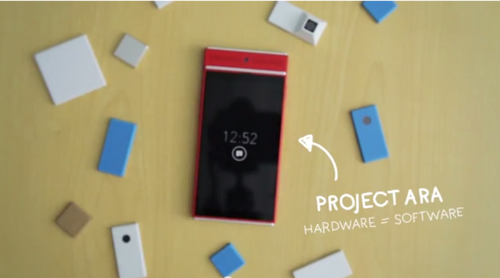 Project ARA, Google’s “Innovation in progress” has certainly aroused many a curious mind. 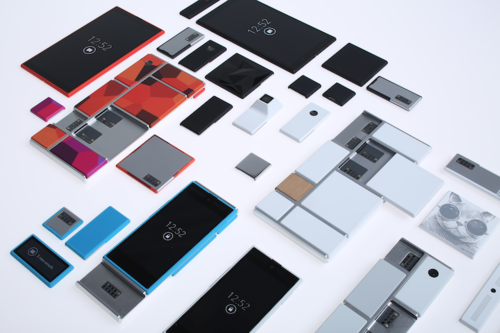 The release being speculated around 2015, Project ARA is Google’s concept of a “modular” phone could be a stroke of ingenuity in the time to come. What we know so far is that Project ARA focuses on bringing you a modular phone, a phone which can be put together piece by piece solely depending upon your personal preference and choice. Certainly a dream come true for many. A phone, truly of your own making where the limitations of a company in terms of processor or battery won’t make you conform to their specs. It allows a ‘root to branch’ remodelling of your device, whatever specs you want your phone to boast, you decide. Now that’s definitely a new concept. The only absolute hurdle a phone selling company could have at the end of the day is not being able to cater to the needs and preferences of each and every consumer despite having triggered an interest in the consumer, some tiny bit or the other will seem a bit disagreeable to the consumer which all boils down to personal preference. Some may find the phone too big, or too small, not like the way the device is crafted. Take the newly launched Nexus 6 for example, even though the phone is a state of the art sublime beast of a phone (I feel personally). But having asked around, many prefer deviating away from buying it despite top of the line specs, due to its sheer size which is a whopping 6 inches. Companies lose out on potential customers who would’ve gone for the purchase if not for that one “thing” that they found off putting, in the case of the Nexus 6 it is “Size”. Now how does one tap into this gold reservoir of potential customers and take care of each and every personal preference? Simple, Google comes up with a phone which will be crafted and shaped by you and only you. Intriguing and liberating. The frame will have no permanent connectors which would mean everything on the frame can be swapped and interchanged; all of this becomes possible with strong magnets connecting the modules to the frame. Say you buy the “Jumbo” frame and take a ‘smaller-than-frame’ screen which would allow you to double up on battery packs to ensure you don’t run out of power for the day or days to come. Citing such an example, you can change the specs of your phone as and when the novelty wears off, all you have to do is select modules available on the Google play store and construct your device, piece by piece. Never will be a dull day I imagine, like having a new phone each time you modify it. From battery life to screen resolution, you get to handpick each of the phone’s elements. This certainly would give many a “piece” of mind. The only question remains, will the industrially assembled look capture the eye? Will it be physically alluring? Time will tell, but the curiosity is certainly there. If this project kicks off with success, Gone will be rants after purchasing a phone. The concept of ranting about poor battery life and small screen size will be obsolete, they will be relics of a time gone by. You’ve followed the campaign crafting procedures by the book and you’ve got your ad out there for the world to see, but somehow you are swatting flies? Managed to clean out that one spot on your PC deemed indelible for ages? The hits don’t quite match your expectations? Site not receiving as many hits as you like? Site getting no hits at all? The reasons for this debacle may be many, let’s enumerate the solutions to get you back up on that horse. So, to successfully implement the multipronged process we will absorb certain tips and tricks. Osmosis mode: On. Let’s dissect the ad copy, beginning with the title/headline. With 25 characters being the limitation for the Title, ask yourself, Does it connect to the user’s set of keywords? Is it shedding relevant light on what your site is offering? If not, then there needs to be a re-implementation of the title (Emblazoned in Blue). 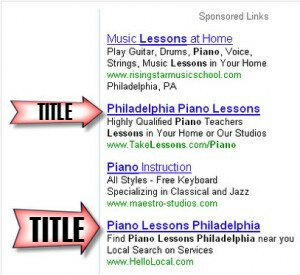 In the example cited above, the user searching for piano lessons will get a more specified hit in “piano lessons in Philadelphia”. This title needs to be a “BANG, in your face” type of a screamer. Analyse your competition, ascertain the feel of the target audience (put yourself in their shoes), think about what you would prefer if you were searching for a, say “Blue Tie made of Silk”. You would click the ad which reads “Ties/blue/silk”, an ad which has any of the keywords being searched for. But you wouldn’t click on an ad which says “Uncle Rico’s house” (who knows what Uncle Rico has been up to? Does Uncle Rico have the tie I want?). Sadly the question asked 4 words ago takes only about a millisecond to go through the users mind. For all we know Uncle Rico may have fabulous ties, exceeding your expectations by a light-year. But failing to match the keywords will leave your link un-highlighted and poor old Uncle Rico would be left contemplating his existence. 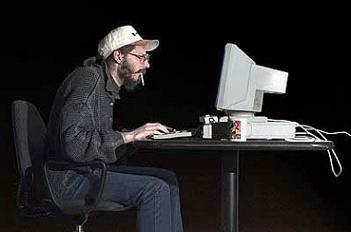 The users have the attention span of a squirrel; you only have a split second to catch the eye. This is both a pro and a con, if you fail to attract the attention within that millisecond your ad will fall into the deepest depth of Hades’ underworld, but if you do manage to allure the eye then the user won’t even deign to look at the other links and would instantly click your link. Make it specific, not generic. Every character up for grabs should be used to its fullest effect. The rules associated with the display URL are simple. Keep it short and simple, not much that can go wrong with this. This leads you to your Destination page, now obviously you can’t paste the destination URL if that in characters outnumber the Persian Army at Thermopylae, with a 35 character word limit you want to keep the display URL relevant to what you’re offering, in the aforementioned example, the word “Tap Aerators” is highlighted to connect the Display URL to the Title and also the product being offered on your website. 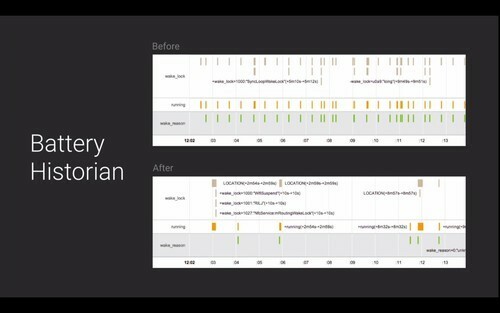 This consistency across all the lines will convince the user of the product you deal in. Coming further down to the Description lines, now here is where you need to finish strong. You have 35 lines to work your magic for each Description line. Again, consistency is needed across all lines, encourage the use of numbers wherever necessary, it takes the mind off from reading droll words. Use capitalization where needed because provides a variety of visual effects, (Ok, not like Avatar 3D) but it makes the content more inviting and eye catching. Provide as much information as you can in these two lines, price/discount/product type and lastly, do not forget the call-to-action. What does the user have to do to initiate his/her transaction with you? Do not leave the user hanging, covering all the bases and forgetting the basics can sting quite a lot. The first Ad, covers quite a lot of bases. It contains a generic term like “Covers”, and then a specific term like “Anti Shock”. 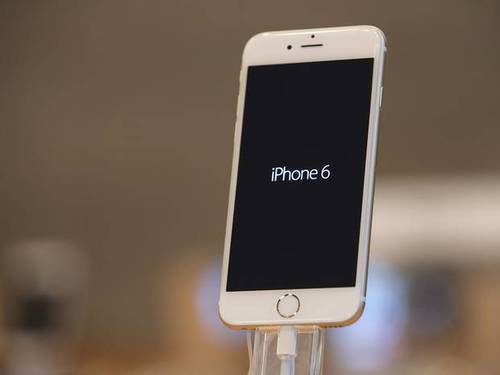 Coming down it conveys the audience it caters to, users having iPhones or Androids. Lastly, we have included as much information as we could in with the discount percentage and then the call to action. Keep it holistic, and revamp that dormant Ad. Now go forth and get noticed. There has been quite a lot of uncertainty, scratch that, there has been a lot of ambiguity associated with the term “Growth Hacking”. 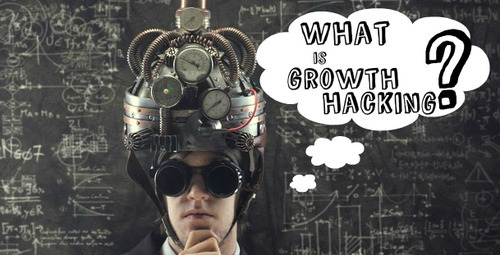 What does “Growth Hacking” really imply? So right off the bat, we’ll get straight to the question at hand. 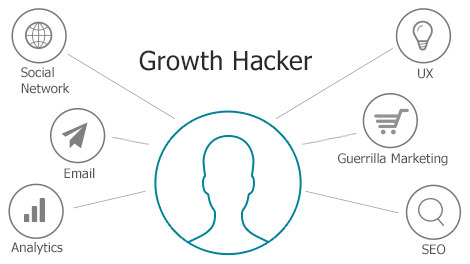 Sean Ellis coined the term “Growth Hacker” in 2010. Growth Hacking is a practice mainly adopted by startups, or those with very limited capital to spare for a paid media advertising campaign, or rather Growth Hacking is adopted by those companies whose sole focus or “True North” as some call it, is growth and nothing BUT growth. At The very core of this conceptual being, is Growth: it is of paramount significance. That is the primary objective upon which Growth hacking is based upon, every action carried out no matter how varied it may be is for the penultimate purpose of, you guessed it, Growth. This “Growth” that we’re referring to is the growth of a product’s/brand’s market awareness and exposure which would undeniably lead to product development which becomes possible through combining the various traditional marketing skills/analytical skills with product development skills. A product nowadays doesn’t necessarily mean a tangible product. Facebook is a product which in reality is an intangible social networking platform, similarly Airbnb which is an online website for renting out lodgings is also a product. Facebook, Airbnb have widely used “Growth Hacking” and still continue to do so. The primary focus of a Growth Hacker is to fully optimize the functioning of engine optimization, website analytics, content marketing and the principles attached to marketing. Growth Hacking is closely linked to low cost innovations and utilizing social media for the creation of a “viral loop” i.e. a perpetual coil of connections that will help in spreading (like a virus) the name of your brand. You need to absorb the patterns in your data and understand what in your product is genuinely attracting users and through them more users, and then create solutions that help engineer that to happen more quickly and more often. 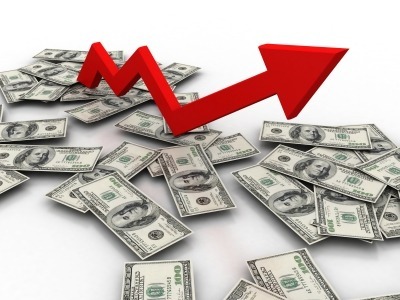 Growth hacking aims at extracting every ounce of efficiency from every platform available at its disposable, it certainly is cost effective especially when there isn’t enough capital available for an all out paid advertising campaign but more importantly why go for paid advertising when you conjure up greater levels of product/brand awareness with nothing but heightened levels of innovation and ingenuity. Instead of paying heavily for advertised marketing, Growth hacking aims at frenzied viral marketing. Suppose there isn’t any adequate capital available to carry out the product promotion/awareness campaign. How do you overcome this hindrance? 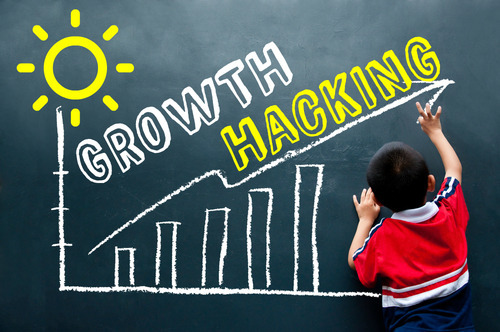 Growth Hacking then becomes your home away from home which adopts marketing with a different focus at hand that is mainly a belligerent focus on growth thereby constructing the product’s potential growth. The common denominator is always growth, what it also needs is a “viral loop” a “customer coil” through which the company gains its fanfare. A new customer hears about your product, he/she will definitely spread the word to other connections and so on and so forth, and like this your viral loop is created. Needless to say, for those who have efficaciously “Growth Hacked” have an efficient burgeoning loop on board. Airbnb is the most prominent example that pops into mind. For those of you who aren’t aware of Airbnb, this will be a nifty piece of information and a very worthy example low cost innovation. Since its inception in 2008, Airbnb: to put it simply is a website to rent out lodging. Suppose you have an extra unused room in your house, you can put it up on their website for other travelers/guests to see. It connects hosts to travelers and vice versa. The interesting tidbit is the fact that they generate their revenue without actually owning a room. Now how did Airbnb gain such fanfare? How did it create that “Viral loop” that “customer coil” of a user-base? The stroke of ingenuity executed Airbnb was that, to form an active user base they leveraged Craigslist which was already a “pre-established” interactive platform having a vast user-base for posting ads of all kinds. So, as the Host rented out his lodging through Airbnb, Airbnb also posted the availability of said lodging up on Craigslist, through some intense coding Airbnb gained access to Craigslist for growth purposes. This simple idea fortified with low cost innovation led them to tap into the untapped reservoir and voila, the product redirected traffic to itself with no extra intermediary required. Instant gratification. But now, it looks like Craigslist has corrected the vulnerabilities which allowed this integration. Now there is a FAQ answer on Airbnb’s site that says they no longer post to Craigslist. This goes on to show that openings should be seen and capitalised upon as all growth mechanisms have a life span. The concept of Growth hacking varies from industry to industry and from company to company but the one factor which remains consistent across all the boards is, Growth, budget becomes secondary to growth. The versatility of the concept of Growth hacking is what makes it universally applicable and maybe what makes it ambiguous only because it could have multiple definitions. Growth Marketing seems like a hybridization of the various components of marketing and the amalgamation of marketing plans and strategies to receive maximum output. 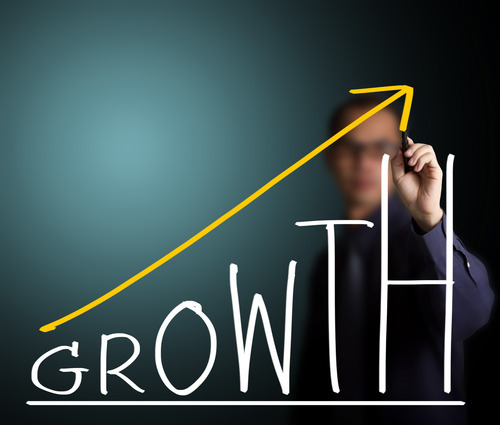 Growth marketing seems to be a testament to the dynamism, ever evolving nature of the marketing industry. 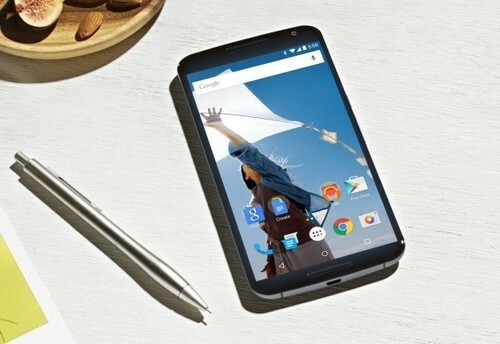 THE GOOGLE NEXUS 6: SHOULD IT BE YOUR NEXT SMARTPHONE? 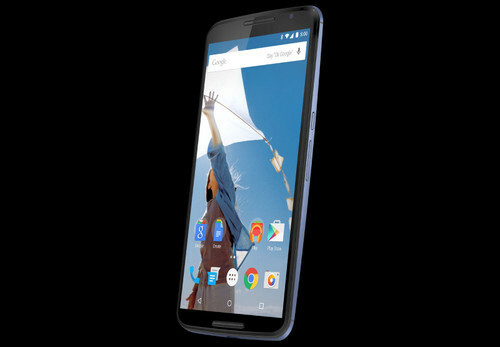 The Motorola made Google Nexus 6 has officially had its release and it’s up for order (still waiting for the official launch date in India, though it should be imminent). 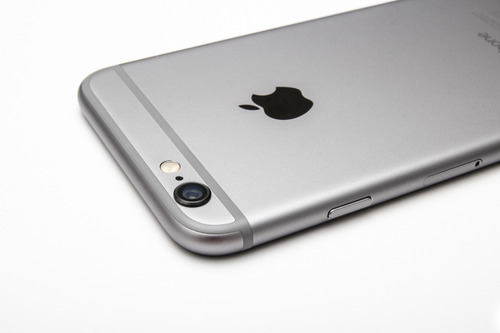 But with the entire buzz surrounding it, Is this Goliath of a phone worth the upgrade? Worth the extra dough? Should it be your next purchase? The answer is a resounding, unequivocal, Yes. The Nexus 6 previously code-named “Shamu” is indeed a whale of a phone. With sheer size being its first talking point, It surpasses the likes of its competitors when it comes to size: The Samsung Galaxy Note 4 which sports a 5.7 inch screen and the IPhone 6 Plus which sports a 5.5 inch screen. But is bigger always better? The Nexus may resemble an enlarged Moto X at first glance but that is where all similarities end, The Nexus 6 is an upgrade in every sense of the word. 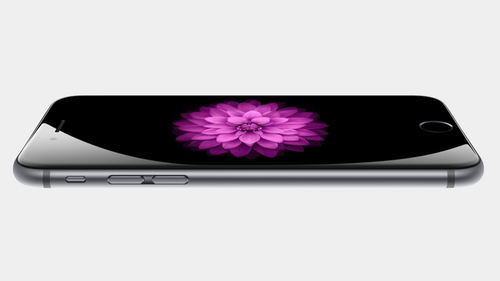 The beautiful 5.9” AMOLED screen displaces a [2560×1140] resolution, with 493ppi(pixels per inch). To say the least, the screen is sheer magnificence with sublime, vivid colours popping out of this canvas of a screen. Having Corning Gorilla Glass 3 as its protector. 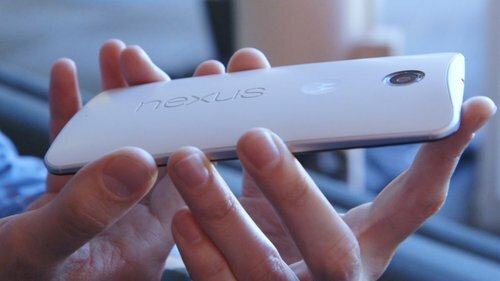 Its contour is a sleek aluminium coating which gives of a distinct sleek look and highly sturdy build quality, say what you will but the Nexus 6 will never feel “cheaply made”. Though the only point of contention may be its size for those with smaller hands, which by public opinion may be the only cause of doubt in your mind before the purchase, boils down to personal preference. 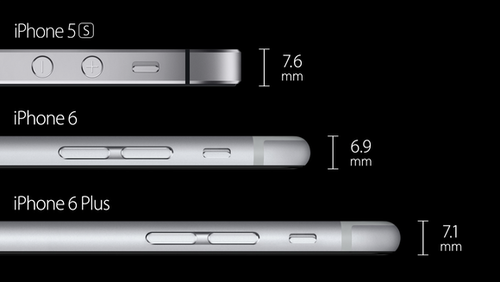 But the 5.9 inch screen doesn’t feel grotesquely huge. 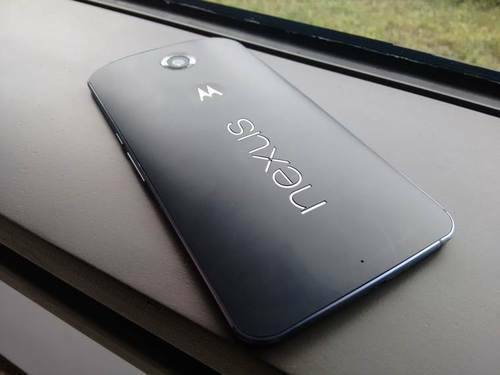 Now that was the Nexus 6 at a glance, let’s look under the hood. Coming with Stock Android as is its prerogative, the Nexus 6 comes loaded with 3GB of RAM, the CPU being powered by a Qualcomm Snapdragon 805 chipset with a Quad-Core Krait 450 CPU clocking in at 2.7GHz and the Graphics Processing unit (GPU) being an Adreno 420, it is safe to assume that the phone will be full to the brim with power, Raw Power. Sure, it seems like a lot of fancy terms and technical jargon. But even a superficial “Tech-Spec” comparison with the rest will affirm the belief that it is a notch above anything Google has by far produced and will be a fierce rival to Samsung and Apple. 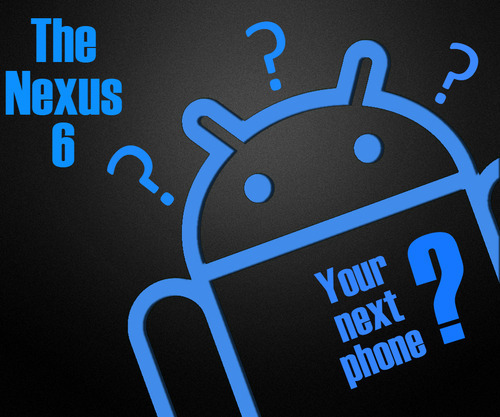 A point to note is that the Nexus 6 will be the first smartphone to have Android 5.0 Lollipop pre-loaded in it, the likes of Samsung and the rest will have to wait till late November or early December for the update. Its predecessor, The LG made Nexus 5 renowned for its snappy no-nonsense performance is powered by a Quad-Core 2.3GHz Krait 400 CPU and a Qualcomm Snapdragon 800 Chipset with the GPU being an Adreno 300 and is speedy and fast to say the least. Keep in mind that the nexus 5 is far from being irrelevant, still gives the IPhone 5s and the Samsung Galaxy S5 a run for their money if you ask me. If the Nexus 5 is snappy and fast with its innate specs, one can safely let his imagination run wild with respect to the performance and power of the Nexus 6 which boasts of upgraded specs. Camera wise, the Nexus 6 is far from modest, the only complaint with its predecessor was the camera being below par, and Google has sought to allay the resentment where Camera and picture quality is concerned. The 13 megapixel Dual flash rear camera is fortified with optical image stabilization which minimises the risk of your photos being blurred, the 805 chipset further supports 4k video recording and playback. 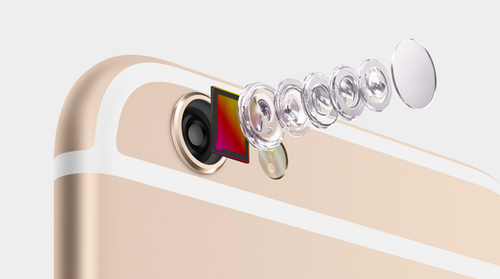 Furthermore, it has a 2 megapixel front facing cam, which is decent and more than efficient for all the “selfie crazed”. This “Power Packed” device does need to have a more than average life supporting unit to bring these impressive specs to life, otherwise it may feel like a V12 engine in a Maruti 800, all that power but of no use. Looking at the Battery of the Nexus 6 it looks like Google did not leave any stone unturned, the battery the Nexus 6 sports is a massive 3220mAh battery, sure there is a big screen needed to be powered but even with that the battery is colossal for the “Juice Hungry”. Tests indicate that on a single charge(between moderate to semi-heavy use) the phone will last out for a day without breaking a sweat, safe to say you won’t be running out of juice every 3 hours, finally a phone which takes battery life seriously eh? 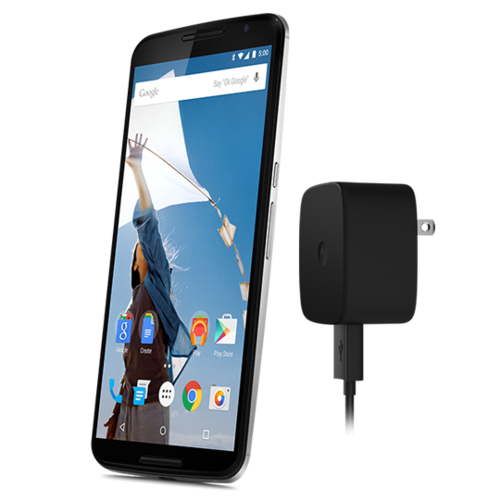 What’s more, and this may be one of the many alluring aspects of this phone, is that the nexus 6 comes with the Motorola Turbo charger, the very same which will come out with Motorola’s Droid Turbo (not a Google Product, but shaping up to be an incredible release). The turbo charger promises to recharge your phone for 6 hours of usage in merely 15 minutes. Now that’s one sweet deal, especially considering those impromptu plans which surface when your battery is morbidly low. Many find the idea of a phablet to be irksome, but Google may have done more than enough to sway your decision. You should personally get a feel of the phone in your hands before buying it, and if the size doesn’t feel too big then there is no reason to not buy this gargantuan greatness. This Phablet is indeed “PHABulous”. How to plan & create a successful Google AdWords Campaign (from scratch)? If you’re just starting your AdWords journey, here is a descriptive guide on how to plan and create a successful campaign. First of all, Building a successful Google AdWords strategy is just like building anything – it starts with a solid foundation. You should know what you want, who you want to target, what is your key selling point, what you want to achieve from the campaign. Demographics and psychographics would immensely aid in getting across the right message to the right target audience at the right time. So let’s get down to it! Grab a pen and notepad and follow along as we walk you through the important factors that make up a successful Google AdWords campaign from scratch. It kind of goes without saying, but if you’re running highly targeted ad campaigns you need to know the customers you’re trying to reach. Are they in a specific location? Are they businesses, individuals or families? Would they be searching for you on mobile, or from a laptop? What level of knowledge do they have about your products? What do they want right now, when they are searching for you? Like any good marketing campaign, you need to create or solve a problem. You also need to show why your business is the best at getting the desired results for your customer. And how can you stand out from all the other ads your prospect is going to see in the search results? Use the Google AdWords Keyword Suggestion Tool (https://adwords.google.com/select/KeywordToolExternal) to find a relevant set of keywords. Once in possession of the keywords, reanalyze them, the aim is to generate specific terms not generic terms. If you’re selling a designer button down silk shirt then having “shirts” as a keyword will not suffice as the result will be lost among a myriad of generic shirts not made of silk. Limiting the number of keywords is a good practice because you do not want your campaign to seem haphazard and cluttered. Keep the same type of keywords together in one ad group. For an Ad Group under the name of “Coffee Table” your list of keywords could be “buy coffee tables”, “affordable coffee tables”. Google AdWords allows 10,000 campaigns per account. With structure in mind, we want to closely link the keyword to the product. If you’re selling phone covers then ‘tomato’ won’t be the keyword of choice (Duh, right?). Selling phone covers would entail something general like ‘phone covers’ and then a specific term like ‘Durable Phone covers’ or ‘anti-slip phone covers’ ‘anti-shock phone covers’ further sieving out results which don’t provide ‘anti-slip’ and ‘anti-shock’ covers. These related keywords go into the ad group which can fall under the campaign “Covers”. If more mobile phone accessories are sold by the very same company, the those products can be launched through another campaign under the name say “portable charger” with a different set of keywords for the ad group. Technically you can have 20,000 ad groups in a campaign but as the number of ad groups increases, account management can become quite laborious and irksome. The number of ad groups will depend on how granular you want your account structure to be. Reverting back to basics again, let’s stress upon the importance of budgeting. A daily budget has to be set, say of Rs.10, 000. You won’t be shelling out cash every time there’s a hit on the adwords ad; instead Google manages the budget and does not exceed it. Now if your site creates a mass frenzy and the budget is exhausted within an hour then there is a provision for the budget to be scattered across throughout the day, ensuring round the clock presence. The first line, the title in blue, of the Ad limits the usage of characters to 25 characters. Your first chance to attract the eye, this emblazoned-in-blue title will determine whether the search has been adequately fulfilled. The second line AKA the display URL will redirect you to the destination URL. Character limit of 35 characters. The second last and last line are for descriptive purposes, having a character limit of 35 characters, it is here that you need a stroke of creativity. These two lines need to be as informative as informative can be. The details represented here may end up being the determining factor, whether it’ll receive a click response or not. These two lines need to have an alluring aspect to it, if I’m selling phone covers then I need these two lines to carry out the appeal to compel browsers to click. Here’s a mock up if what the end result should look like. 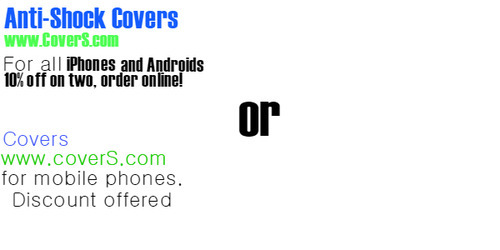 10% off on 2 covers, order online! So, with this ad you not only conveyed your phone covers are anti-shock, but also conveyed its availability across phone variants under Apple and Android and also transmitted the alluring aspect of a discount on two covers (Lord knows we love a good deal). Try to cover as many bases and aspects as possible to allure the eye. There you have it, now you’re on your way to launch and propel your AdWords campaign, optimize and analyse decisions every step of the way. Patience is the name of the game, analyse, reanalyse and then implement. Go forth and get noticed.